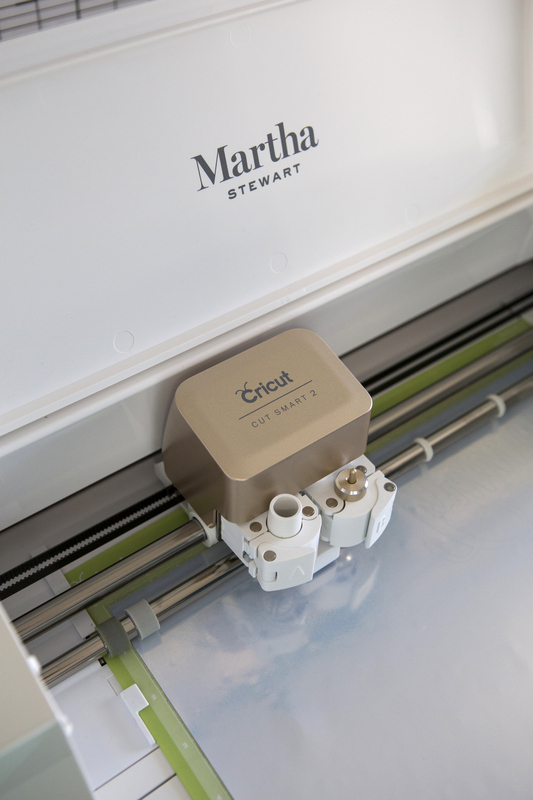 Hey there, Cricut lovers! 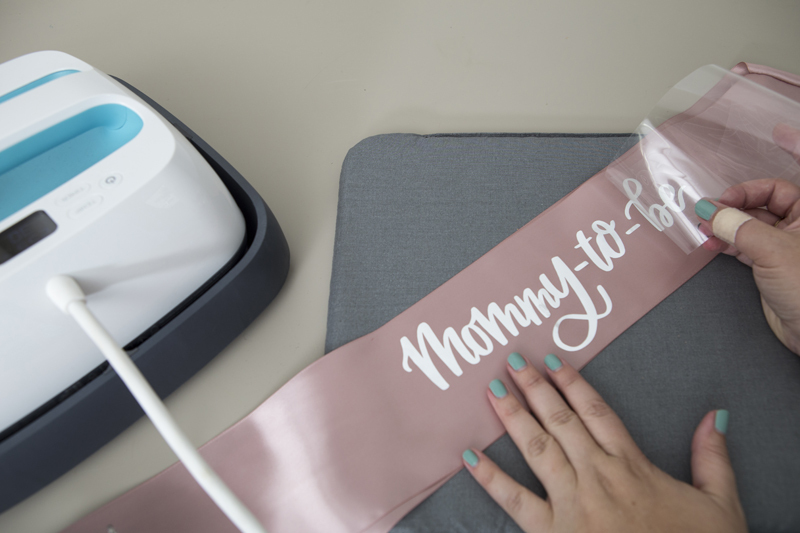 My name is Jen Causey and I’m the resident wedding expert for Cricut. I’m the creative gal behind the DIY wedding blog Something Turquoise, but today I have something extra special to share with you. I’m pregnant with my first baby and just a few weeks ago I helped throw my own shower. I pretty much went Cricut crazy with it and so the team asked me to share some of my creations with you. 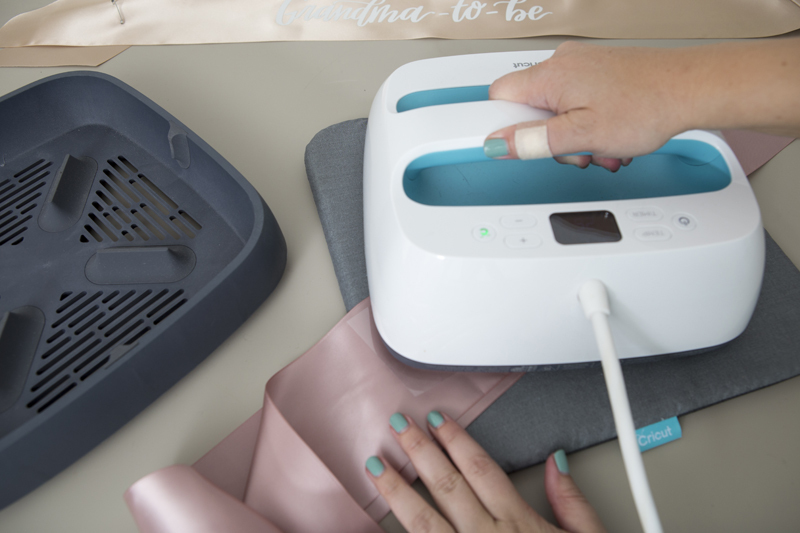 My Cricut Explore Air 2 Special Edition, Martha Stewart Machine Bundle and Martha’s new Celebrations Party Supplies line (The Mint & Blush Collection), both sold exclusively at Michaels, took center stage at my shower. You’ll be able to see my entire shower both on MarthaStewart.com and SomethingTurquoise.com in the coming weeks. Honoring the special “moms” in my life that are about to get an upgraded role, was a fun idea that turned into something they all really cherished. My mom has been waiting an incredibly long time to be a grandma and so wearing this sash proudly meant a lot to her. 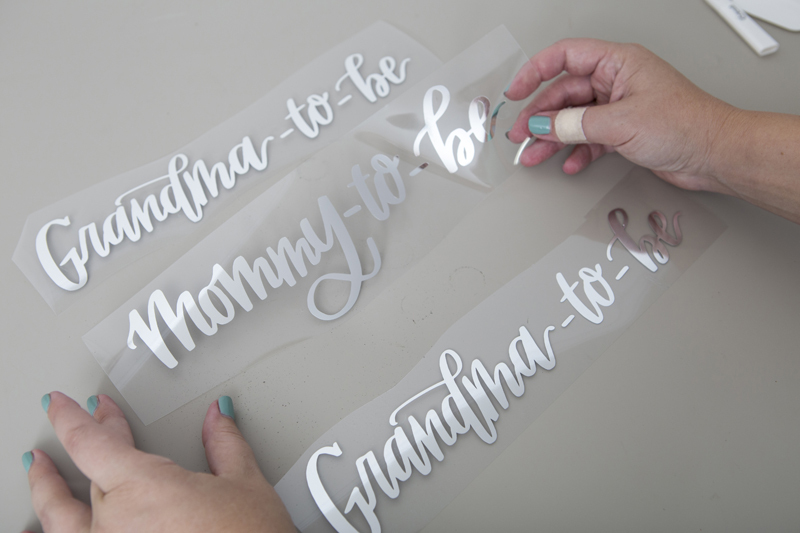 I had the sayings hand-lettered by an artist and turned into custom .SVG cut files to use specifically for this project. Guess what!? I’m sharing all three designs with you for free, so you too can honor the special moms at the next shower you host! Upload our custom .SVG files into Design Space and drag them to fit the size of sash you’re creating. 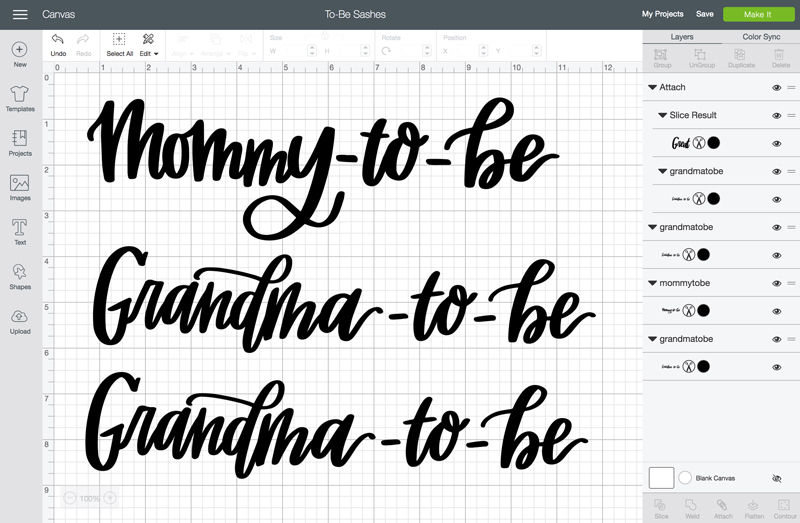 I’m sharing 3 files, Mommy-To-Be, Grandma-To-Be, and Great Grandma-To-Be. 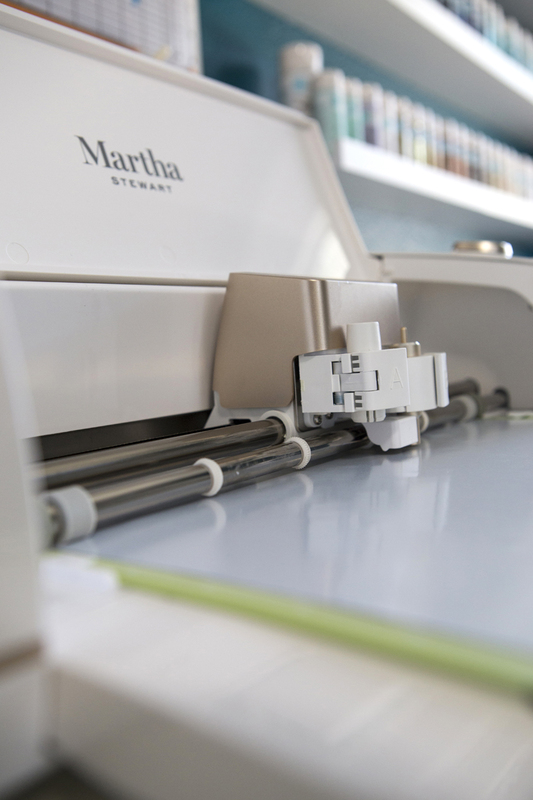 But hey, maybe you don’t want to make a sash, maybe you want to make a tote bag or t-shirt - great do that! 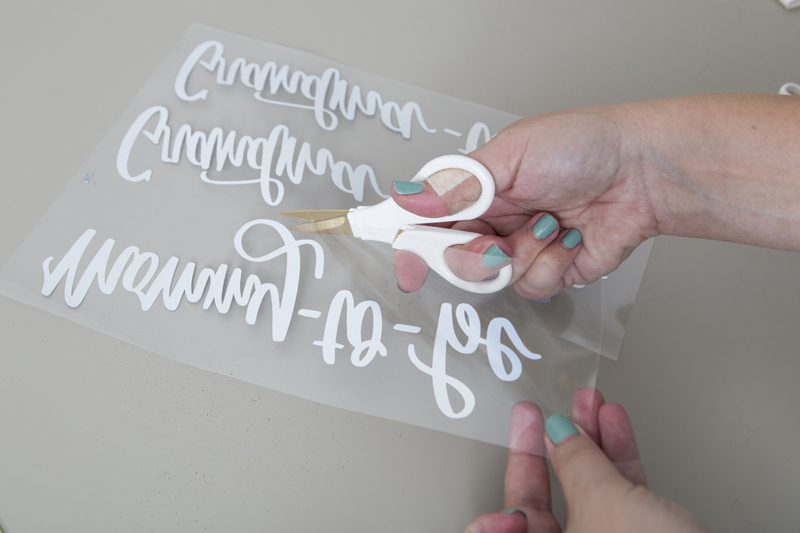 You can use these files for any Cricut crafting! 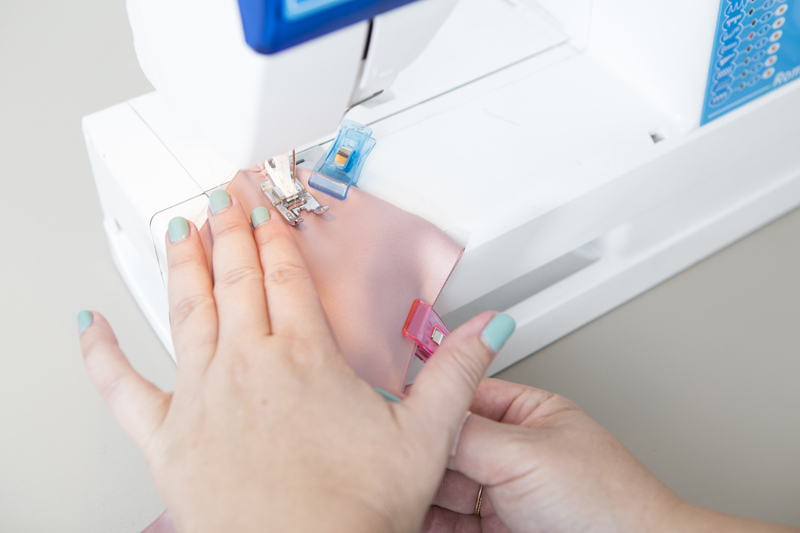 Add the iron-on to your cutting mat, colored side down and make sure to check “mirror image” before you cut! Then watch the Cricut work its magic. Weed, aka. 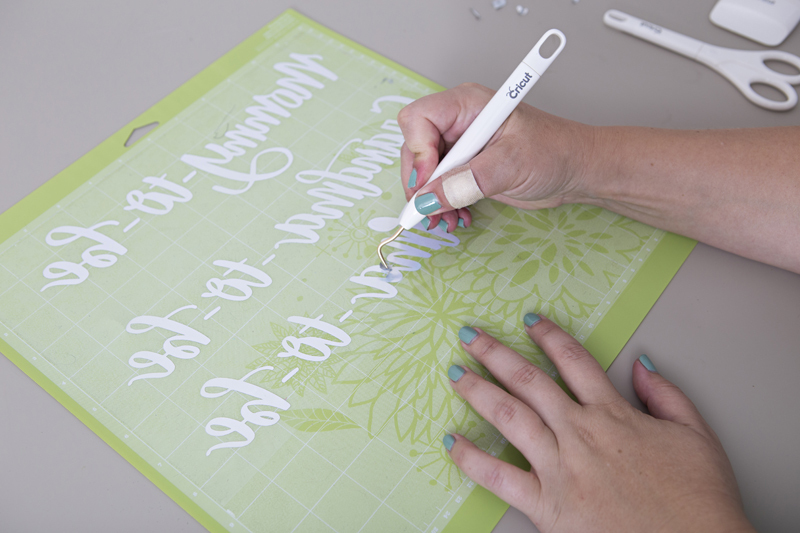 remove, all the non-design areas of the iron-on design using your weeding tools. Then cut out each individual saying. 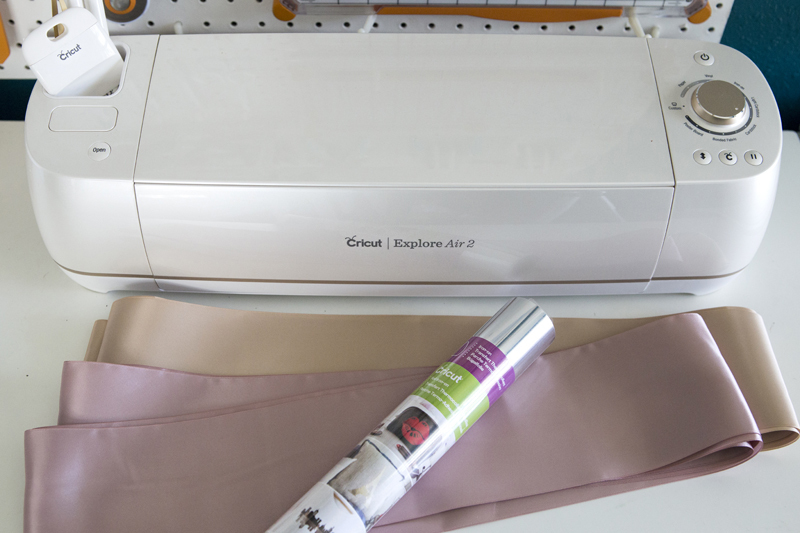 Turn satin ribbon into a sash with just a few stitches from a sewing machine. 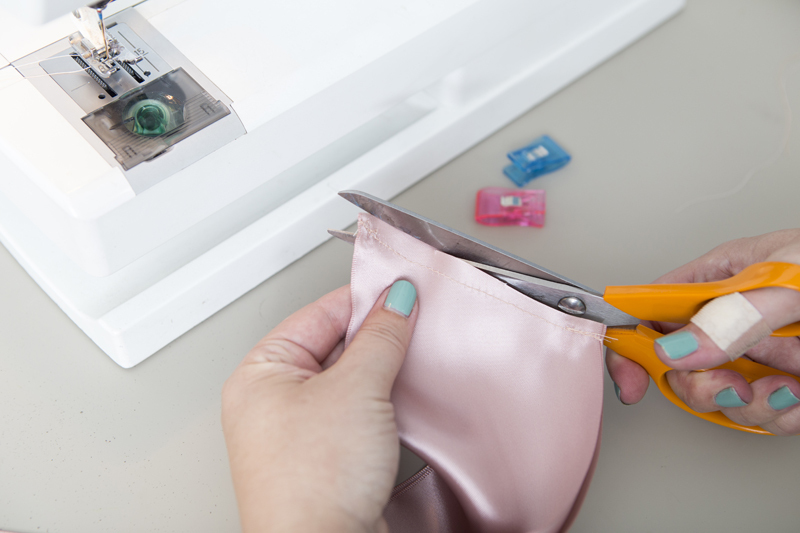 Fold the six feet of ribbon in half and pin. 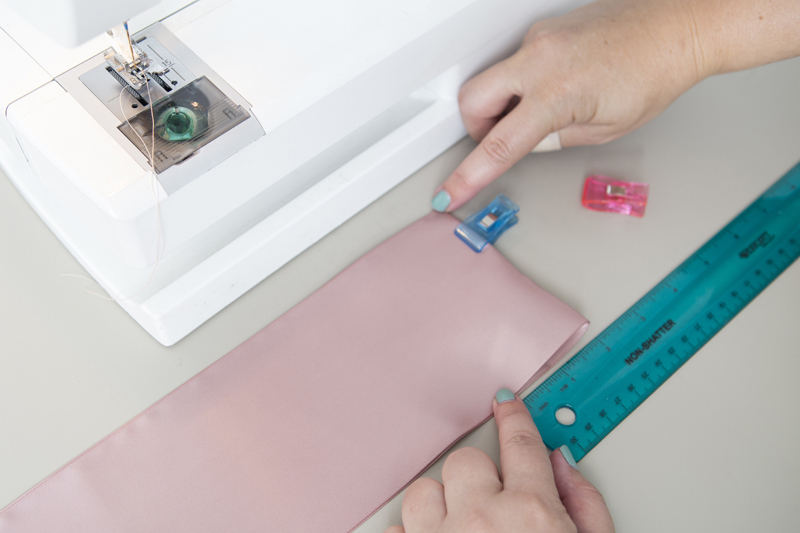 You’ll want to sew from the upper corner, across the ribbon by 2”. This creates the perfect fold for the sash to lay properly across the chest. 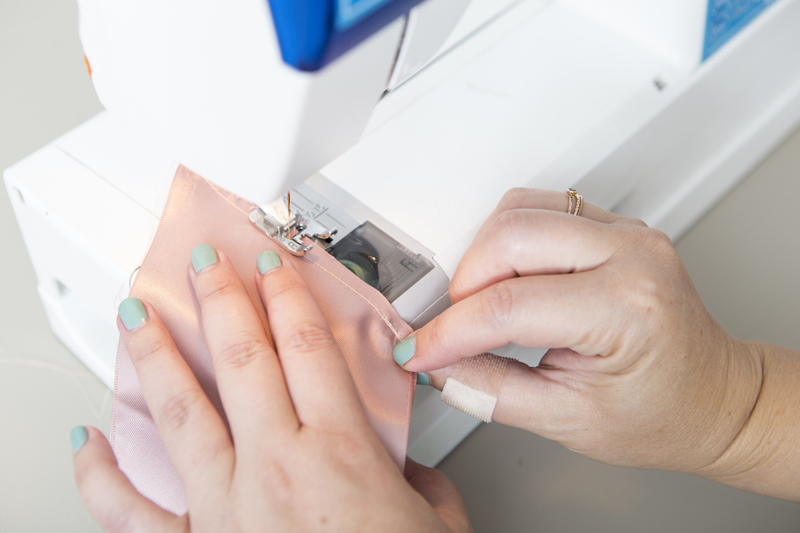 Trim the excess triangle of ribbon away about 1/4” from the seam and then add a zig-zag stitch across the cut to finish. 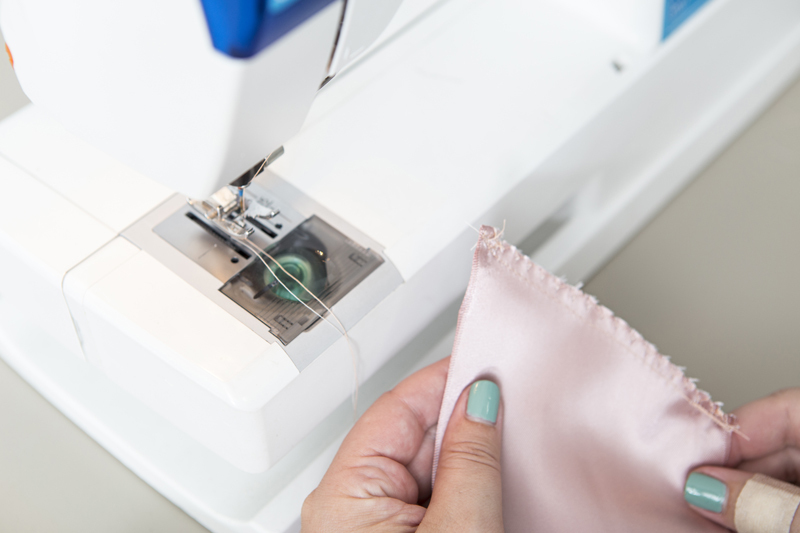 You could also serge this seam if you have a serger. 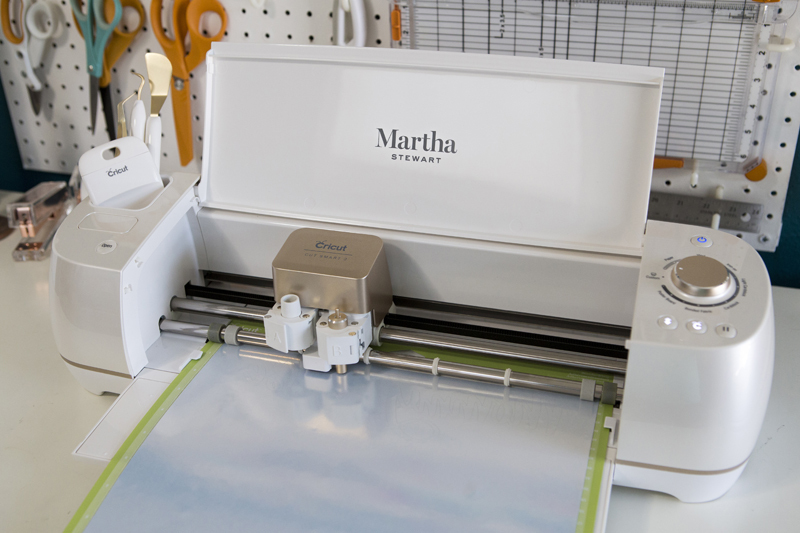 Using your EasyPress and EasyPress mat, adhere each saying onto the sash using the heat setting appropriate for your ribbon and choice of iron-on. 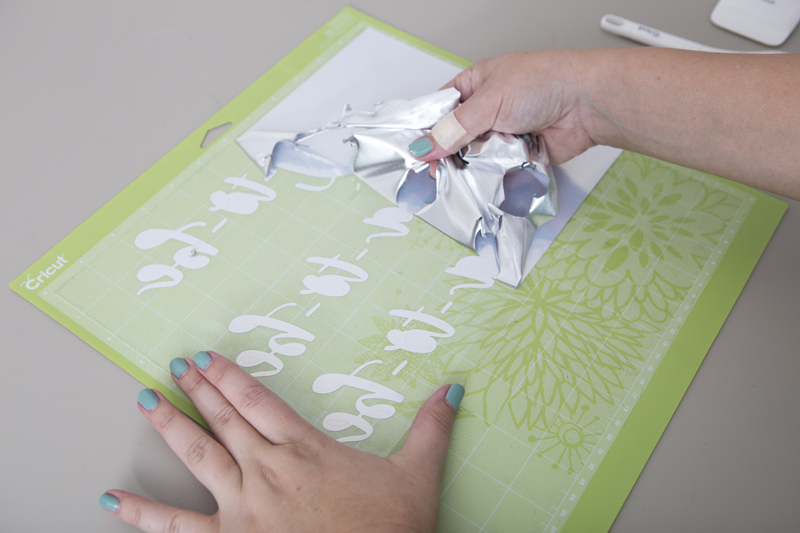 If using metallic foil, remember to peel the backing off once the material has cooled; it’s called a cool peel. Visit this page for all the EasyPress heat and time settings. 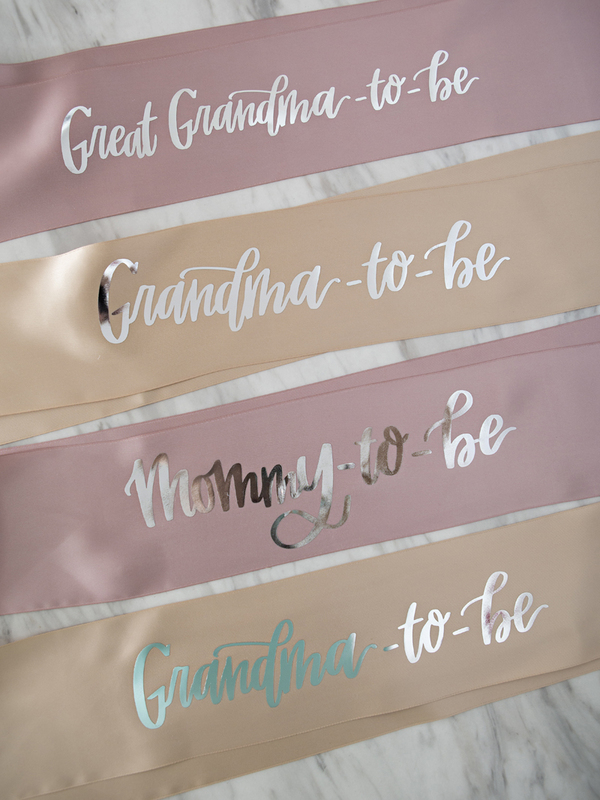 Honoring the special women in my life, who came before me in this role called motherhood was important and special… and I have to say they all excitedly wore their sashes for the entire event! 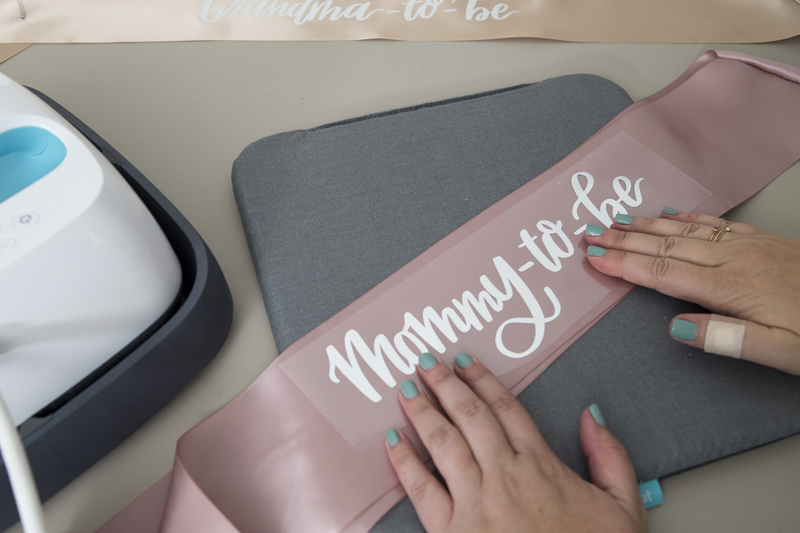 Thanks for letting me share this peek into my crafty baby shower, I hope it’s inspired you to get creative and use a custom file on something special. 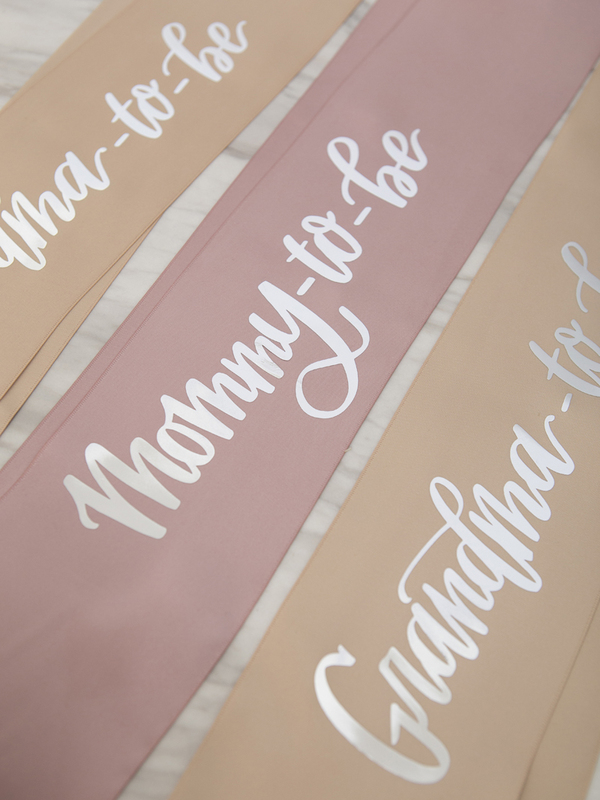 I’m super excited to see you amazing and creative Cricut users, create these darling “to-be” sashes for your next baby shower or special event - so make sure to share them on social and tag @something_turquoise and @officialcricut! Beautiful! May I ask where you found that color ribbon?